The dish turned out wonderfully – the perfect accompaniment for a grilled steak and, since everything was cooked outside, a nice way to keep the kitchen cool on this 97-degree summer day. 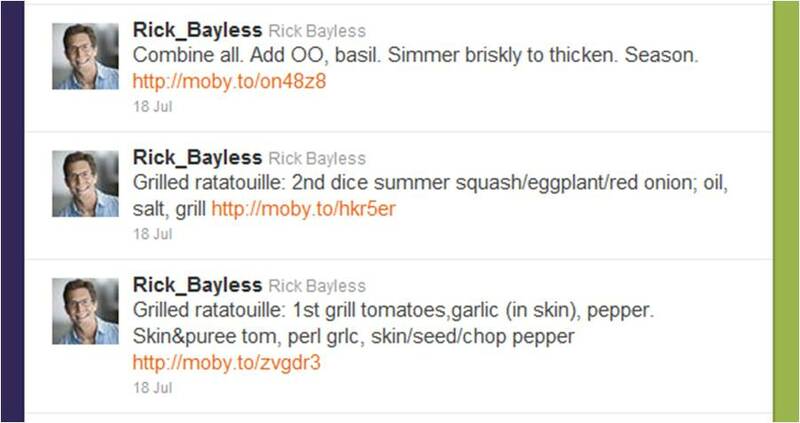 Thanks for tweeting it, Chef! 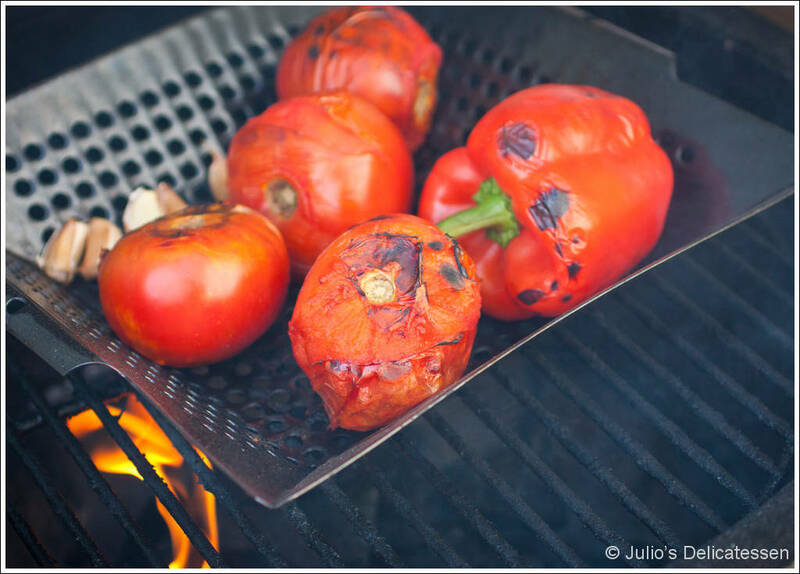 Grill the tomatoes, garlic, and bell pepper over high heat, turning occasionally, until skins are blackened. 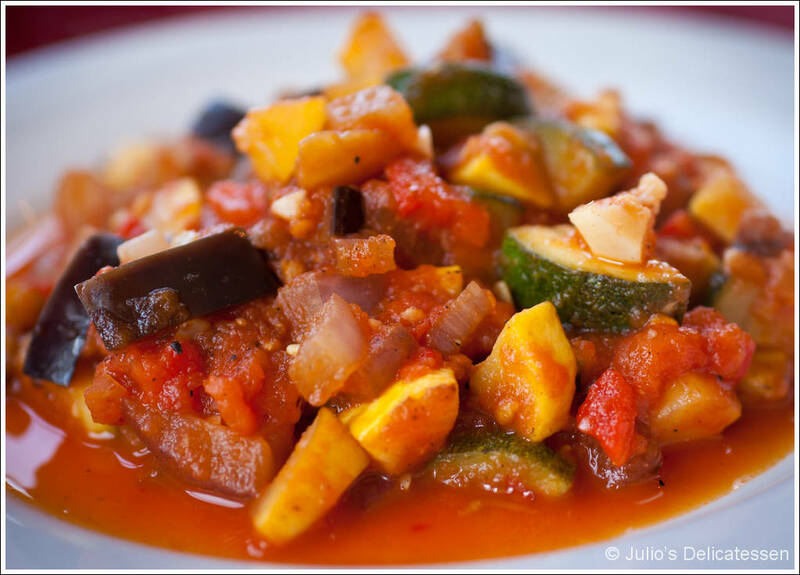 Remove the skins from the tomatoes and puree in a food processor. Peel and chop the garlic. Remove skins, stem, and seeds from pepper. Cut into small dice. 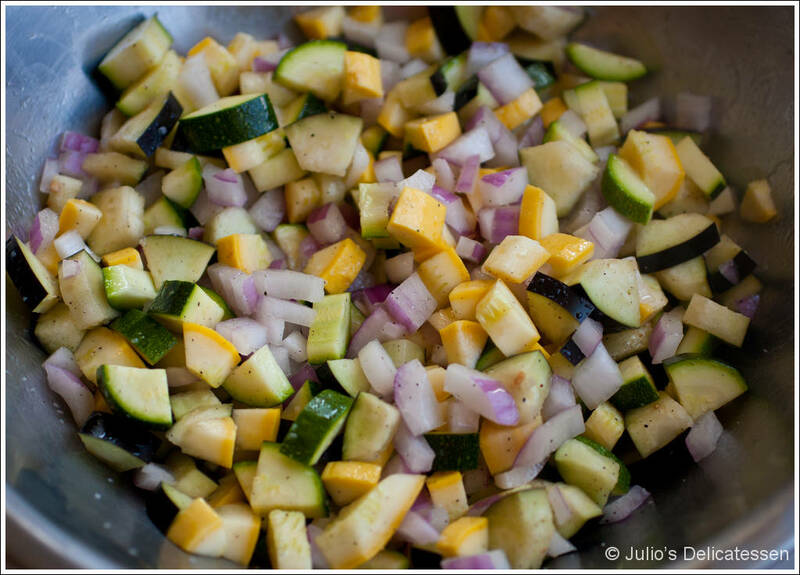 Dice the squash, zucchini, eggplant, and red onions. 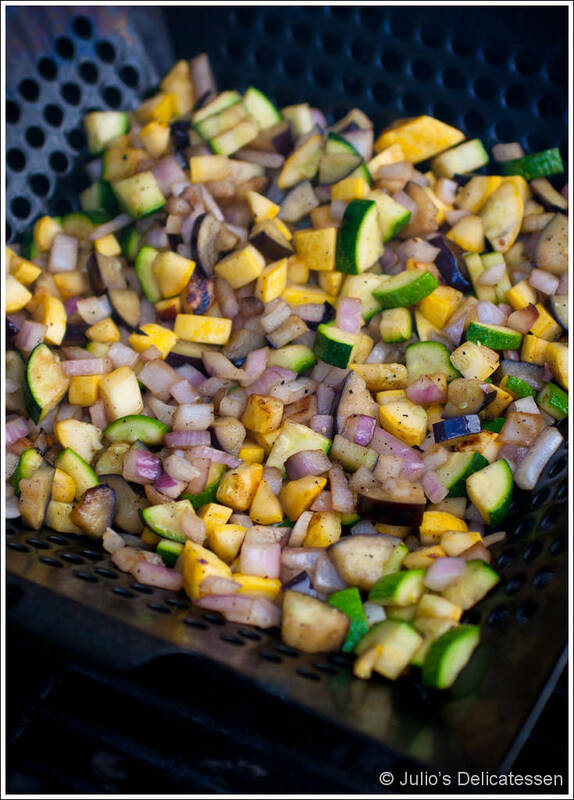 Toss with olive oil and salt, then grill for several minutes. 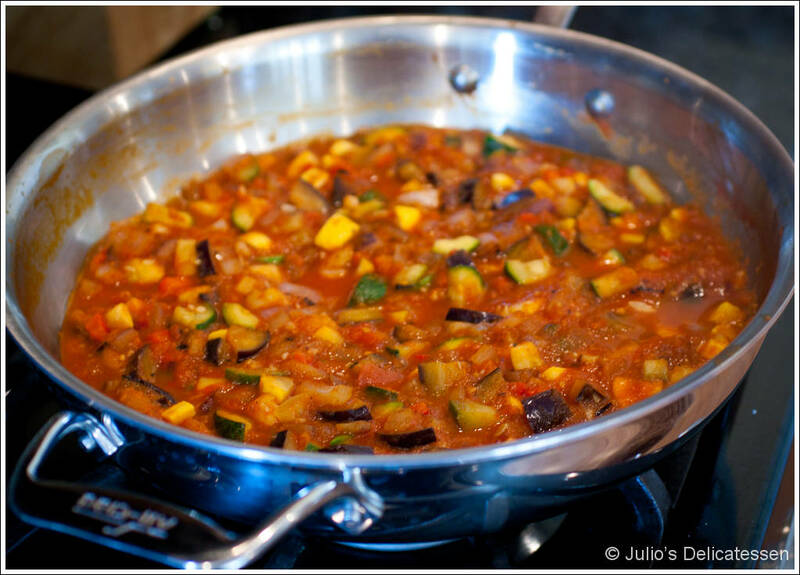 Transfer all ingredients to a large pan and bring to a brisk simmer. Simmer for several minutes to thicken.